I finally got around to baking some of the fall things I've never tried before. Right about the time that September hits and I plug in my Sweet Cinnamon Pumpkin Wallflower, those recipes start to sound really good. I enjoy using pumpkin as a main ingredient since this is their season. These three goodies are all wonderful and I loved every single one. All the recipes are linked from here (click on the names), but can also be found on my book club's recipe blog. 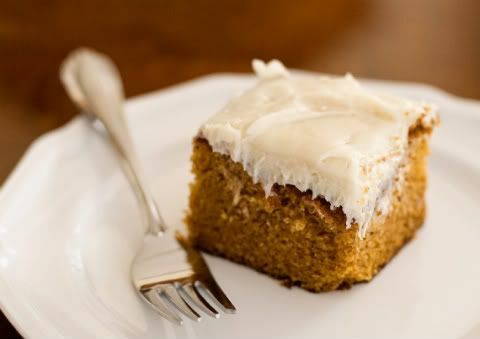 The dreamy homemade cream cheese frosting on top of these is almost my favorite part! But the warm spiciness of the cake itself is very fall and very yummy. 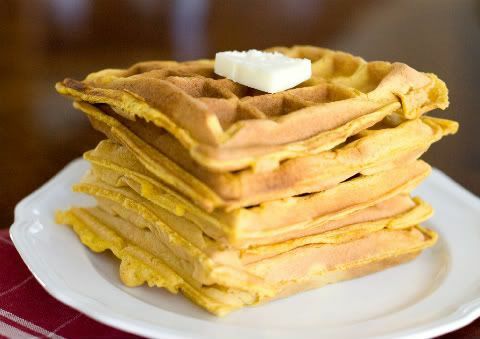 This recipe combines so many things that I love: waffles, pumpkin, maple syrup. The apple flavor of the syrup is just enough fruitiness without overpowering the richness of the maple. Such a great special seasonal breakfast treat. 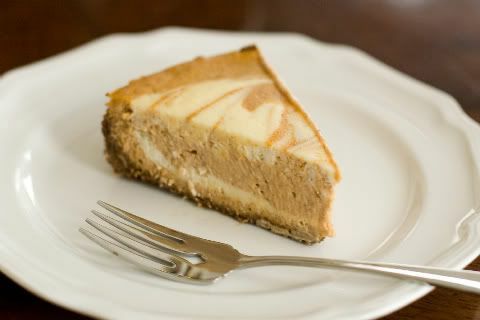 I came into making cheesecake only recently and have only made about three in my life. It's because I didn't think I liked cheesecake for the longest time. Crazy, I know! This recipe is really easy and I think the gingersnap crust really makes it unique. They all look very tasty! I'm not sure which I want to try first! !